EXTREME LUXURY | EXTREME PURPOSE | EXTREME DUR ABILITY PROUDLY BUILT IN THE USA 52216 S.R.15 Bristol, IN 46507 | renegaderv.com | 888.522.1126 Renegade comes in many shapes and sizes. 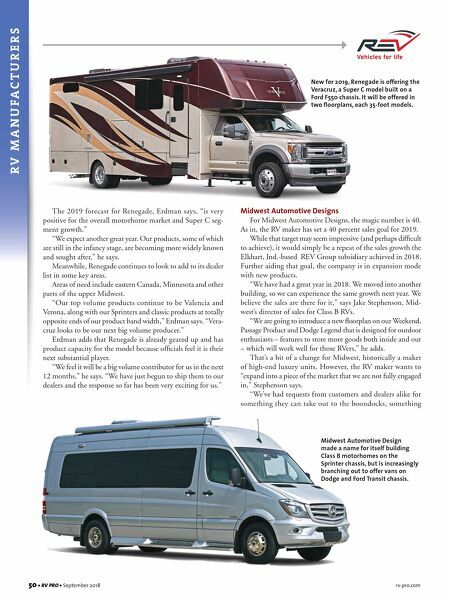 Renegade RV is the fastest growing Super C manufacturer in the industry. a large part of the success has been the evolution and expansion of the Renegade lineup. 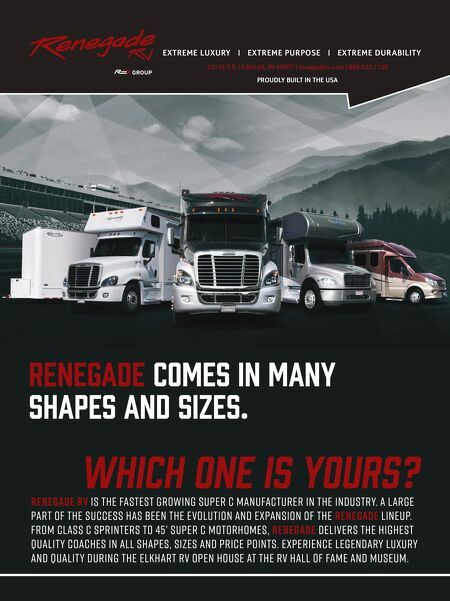 From Class C Sprinters to 45' Super C motorhomes, Renegade delivers the highest quality coaches in all shapes, sizes and price points. Experience Legendary Luxury and Quality during the Elkhart RV Open House at the RV Hall of Fame and Museum. Which one is yours?